Destination Wedding of the year!! We truly are so fortunate to have so many couples that book us for their destination wedding. Now we know that it can be stressful planning from afar.......but we have mastered working with destination clients and have it down to a science especially as 60% of our clients live out of state. 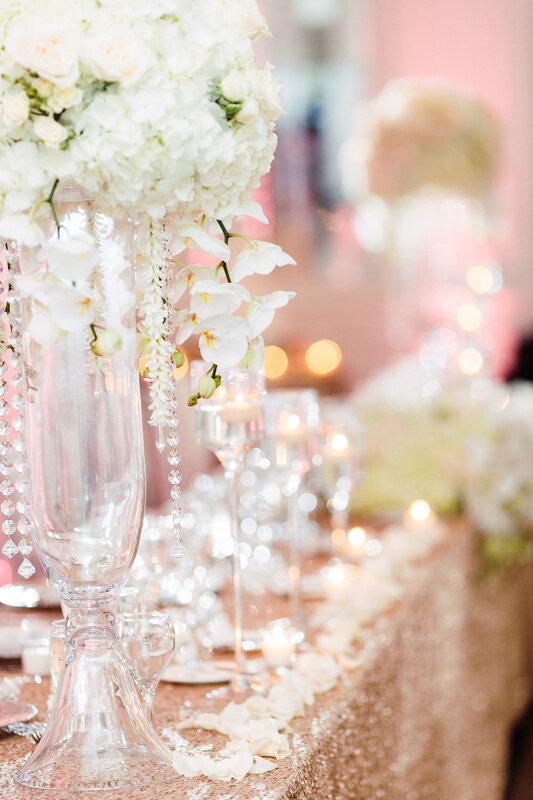 After talking to our bride Gabriella on the phone a few times, it was easy to see how her vision was our signature style..........lush, classic and orchids galore! Her sweet personality and enthusiastic nature made her a dream to work with and we so looked forward to finally meeting her person. It wasn't until later on the wedding day that we found out that we were apart of an incredible NFL families wedding Derek Watt of the LA Chargers, brother of JJ Watts of the Houston Texans who raised $37 MILLION for hurricane relief! As you can see this gorgeous couple's wedding was one for the book and we are honored to have been apart of such a caring couples wedding.